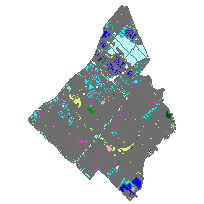 This data set contains the Mississauga Official Plan 2010 Land Use area. The Plan's policies are designed to manage and direct the next stage of the city's growth - redevelopment and intensification. They will help the city adapt to the effects of growth on the social, economic, cultural and natural environment.